Click on the following link and a two minute Video will play in a second browser. · Learn the signs and symptoms of a concussion. 2. Keep your child out of play. Concussions take time to heal. Do not return your child to play until a health care professional says it’s OK. Children who return to play too soon—while the brain is still healing—risk a greater chance of having a second concussion. Second or later concussions can be very serious. They can cause permanent brain damage, affecting your child for a lifetime. 3. Tell your Coach about any recent concussion. 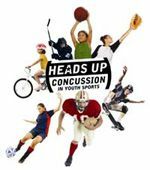 Coaches should know if your child had a recent concussion in ANY sport. Your coach may not know about a concussion your child received in another sport or activity unless you tell the coach.